I recently read an interesting article by Charlie Brown in the Harvard Business Review called, “Too Many Executives are Missing the Most Important Part of CRM.” Personally, I could not agree more. Businesses often look at CRM as a sales tool with a goal of driving conversions. Of course, it does help with conversions, but the real purpose of CRM is to build relationships that result in conversions. CRM is not all about making your business more efficient; it gives you the power to develop meaningful business relationships that drive sales and retention. With the customer experience being top of mind for most organizations, relationship management should be the priority. However, prioritizing relationships takes vision, and vision comes from the top down. Brown uses the examples of Amazon and Patagonia. Both companies are committed to developing relationships with their clients to keep them engaged and loyal. Their companies are profitable and will continue to grow in the coming years because they foster relationships and build communities of people, companies, vendors, etc. This is their company culture, and companies who commit to a culture of relationships will be those to succeed in the future. Let’s explore. There is a new term in marketing and it’s power lies in relationships. Having great relationships with your clients can be one of the most influential tools a brand can utilize to attract and retain a loyal tribe. 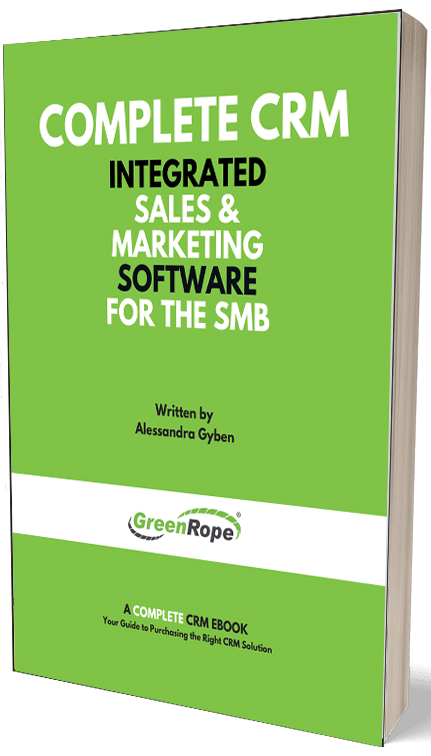 CRM and marketing automation are at the foundation of this type of marketing as they make it simple to record, manage, and execute based on the information you collect from you leads. CRM is an effective tool for keeping you organized and on top of your leads and clients, however it is also an exceptional tool for helping a brand nurture relationships, real relationships. A CRM does more than simply house names, numbers, and addresses. It collects and organizes so much more data, if you let it. An integrated platform with both CRM and marketing automation offers the perfect foundation for relationship building. Obtain, store, and access both demographic and behavioral data for all of your contacts. We all remember the phrase, “knowledge is power.” A relationship is all about the connection you make with another person. The more you know about a person, the more opportunities there are for a deeper connection. Whether it is a common sports team, a hometown, or a deep understanding of a contact’s pain points, these are all connection points that can be made between a brand, the people behind the brand, and its consumers. Luckily, as marketers and sales professionals, we have technology to help us gather a lot of this information automatically. When a leads signs up for more information, downloads an eBook, or registers for a webinar, you are gathering important information about that client and/or lead. You are not only gathering important demographic information, but also data surrounding their interests and pain points. With a CRM and marketing automation platform, the lead, their contact information, and any other data collected is automatically stored in the CRM. Then, automatically engage your new contact with relevant and personalized messages to help nurture the beginning phases of this new relationship. This is all done with auto-responders, drip campaigns, and other automation tools triggered by the signup. Because of the data you collect and the rules you set, it is easy to personalize while automating at the same time. By segmenting your contacts and personalizing your messages based on both demographic and behavioral data sets, you begin to establish trust. This trust shows that you truly understand and are there to help your leads and customers succeed, grow, and to make their lives easier. Your clients are your greatest referral sources. The better relationships you have with your clients, the more likely they are to share your company with their network. People do business with those that they like. As Brown states, it’s all about “prioritizing the right relationships.” CRM gives you insight into who your leads and clients are, as well as their network. The more you get to know about your contacts, the more you realize their referral potential. With sites such as LinkedIn, you can also get valuable insight into their network. The better a relationship you have with your client, the easier it is to ask for the introduction or referral for your product/services. You can tell which clients may be a great referral source based on how engaged they are with your brand. If they are opening your emails, engaging with you on social, actively providing positive sentiment, this is a good relationship to nurture and maintain. All of the relationships you have with your clients and leads are important, but some can provide more long-term value than others. The trick is simply knowing your clients, something that a CRM and marketing automation platform can provide. Social media presents a unique opportunity to connect with your leads and clients. A CRM, integrated with social media lets you actively listen and engage with your contacts. Take it a step further when you attach automation to your social listening. Whether it is LinkedIn, Twitter, Facebook, or another social network, social media is a powerful learning tool. When you actively track everything your leads and clients are saying online, you see a whole other side of who they are, their interests, the pain points, and more. This is the kind of useful data a brand needs to develop solid connections with their contacts. Social media listening is especially important for marketing and sales professionals. Their success largely depends on the relationships they create. Start by connecting on LinkedIn, inviting them to your Facebook page, or following you and your company on Twitter. Once they are connected socially, you can start tracking their social network activity. Trigger automation so you never miss a chance to engage with your contacts. Some CRM and marketing automation platforms have the ability to activate workflows when a person likes, follows, comments, or replies on any of your social networks. This makes social listening even easier, especially when your day is filled with phone calls, meetings, and emails. In conclusion, if nothing else, I wanted to emphasize the importance of relationship marketing as one of your most significant marketing strategies. Thankfully, we have CRM to help us succeed in developing the relationships that help grow our businesses. CRM is a sales and efficiency tool because it provides you with the necessary functionality to help develop and nurture valuable business relationships.